Greece international Panagiotis Retsos has snubbed many major clubs to join Leverkusen from Olympiacos. Bayer Leverkusen have swooped to sign Greece international Panagiotis Retsos from Olympiacos on a five-year contract. All the latest summer 2017 transfers on Deadline Day! The versatile defender, 19, became the Greek club's youngest captain of all time at the age of 18 last season and he has been declared as an "investment for the club's future" by Leverkusen's sporting director Rudi Völler. 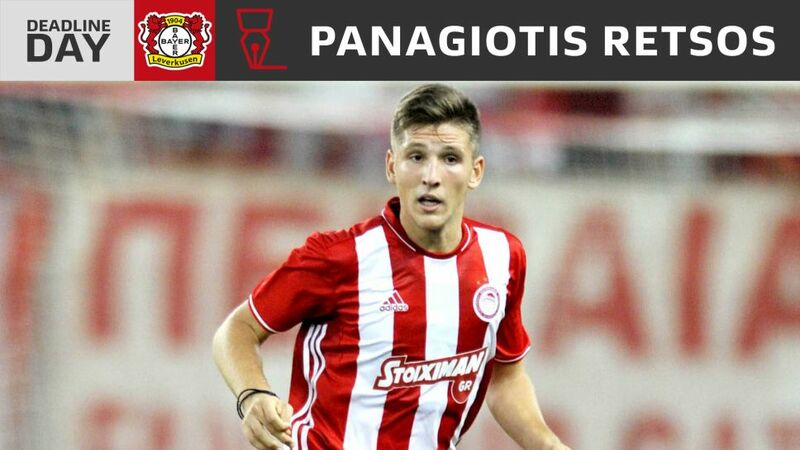 "Panagiotis is a young player with special talent and he fit the bill perfectly for the type of player we were searching for," added Völler on the club's website. "He had plenty of offers from top clubs who are all playing in Europe this season, and that makes it all the more satisfying that he has chosen Bayer Leverkusen, especially after having played a key role in Olympiacos reaching the Champions League." That is something the talented young defender will be aiming for with Die Werkself next season. "Bayer Leverkusen have been playing regularly in the Champions League in recent years, despite the stiff competition they have faced in the Bundesliga, and that is very impressive," said the defender, who is part of the Greece national team squad for their upcoming World Cup qualifier against Estonia. "It makes me proud to receive an offer from such a club, and I am really looking forward to playing in the Bundesliga – one of the best and most attractive leagues in Europe."